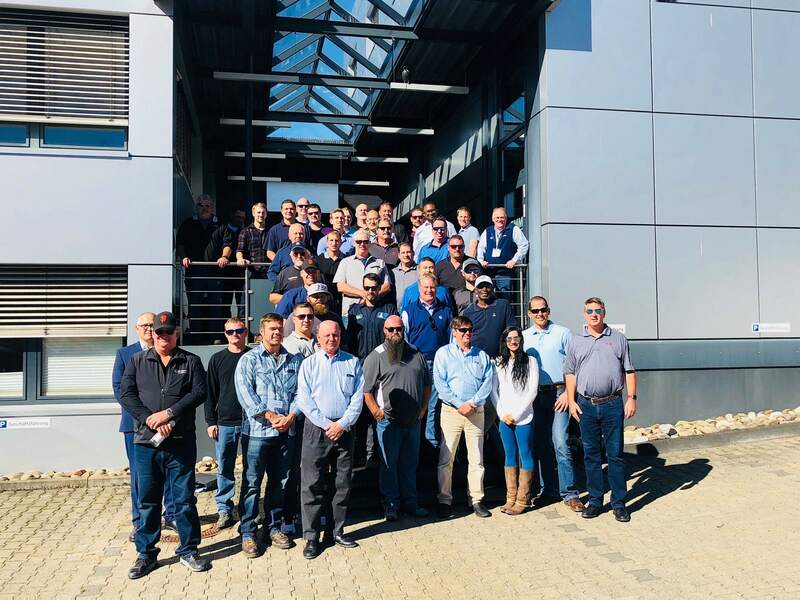 Equipment Corporation of America (ECA), a leading distributor of foundation construction equipment, joined BAUER Equipment America (BEA) in hosting 36 distinguished guests at the annual BAUER Oktoberfest Event in Germany from October 17 to 21. Each year ECA joins Texas-based BEA to fund and organize a trip for some preferred clients to the country where its foundation equipment is manufactured. This year’s agenda included BAUER product presentations; guided tour and product demonstrations at BAUER Maschinen’s Aresing and Edelshausen factories; visit to the BETEK facility in Aichhalden; jobsite visits in Stuttgart and Frankfurt; guided tour of KLEMM’s Drolshagen factory; sightseeing in Cologne; and Oktoberfest in Munich.